Onii-Onii was stubbed short, when Shuhei shunpo'ed away from him. He was a bit confused why until he saw the big green cero barreling at him. He quickly shunpo'ed upward barely missing the wide range attack. He looked over at Tartarax who had signaled his Fraccion. Onii-Onii quickly shunpo'd towards the fraccion & confronted him. "Now where do you think your going? You ugly bug thingyamajig"
Onii-Onii was infront of the fraccion about 25 feet away staring him down. Tartarax watched as the little one went to fight his fraccion but before he could stop him, tartarax saw a blue beam hurddeling towards him. "these shinigami never learn"tartarax said to himself as he put the cero blade in a defensive position, as it colided with the cero blade it started to get absorbed into the blade intensyfying its power tenfold. "i never like to repeat myself, but shinigami this blade absorbs all beam like projectiles and intensyfys my blade tenfold"tartarax yelled to the other captain. Tartarax swung the blade in the direction of the shinigami who fired the blue beam and released an infused cero with the beam he just absorbed as it was hurddeling to the other shinigami tartarax yelled to kidoumaru"RELEASE THE HORDE"he shouted as he watched the beam. kidoumaru appeared next to his master"it is done lord tartarax"kidoumaru said as he sat on a nearby tree and watched the battle to come. Shuhei had only just recently arrived at the scene so it wasn't surprising that he had no knowledge of the Arrancar's ability to absorb Kido based attacks. He blamed Onii-Onii for not telling him that little fun fact which could have come in quite handy... Luckily, Shuhei didn't use the Kido's full power by casting it without reciting its incantation which drastically reduced its strength. Shuhei was a master of Eishouhaki, which was of course the ability to use Kido without incantation. In response to the Arrancar's swift retaliation, Shuhei extended his right hand towards the approaching Cero and shouted. "Bakudō # 81. Danku!" Suddenly a massive wall of light appeared in front of Shuhei which effectively blocked the attack fired by the Arrancar. Shuhei snickered a little bit as the smoke cleared from the previous attack. "My my..." Shuhei said as he looked towards the sky taking notice of the hordes swarming the sky above them. He looked back down towards Tartarax and smiled as he spoke. 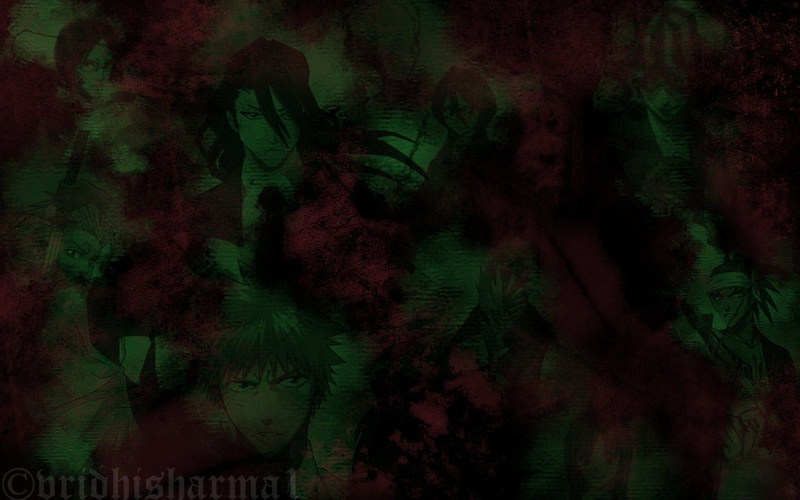 "Well, having to resort to backup must mean that you're not even in the top five of the Espada." Shuhei hoped to anger the Espada in such a way that would allow the two of them to fight without interference. "My guess would be number eight... Am I close?" Shuhei said mockingly. Onii-Onii attempted to attack kidoumaru but he quickly vanished into the garganta, Onii-Onii looked around & saw him re-appear near Tartarax but he then quickly noticed the hordes of Hollow attacking, he quickly yelled out to Shuhei. "Don't get hit Shuhei! Wave!" Onii-Onii summoned a massive wave & aimed it towards Kidoumaru. The hordes of smaller hollow should fall into the darkness, killing them. He still had to deal with a rather annoying Fraccion who just wouldn't sit still. "That deals with your hollow bugs or any menos that dare step foot into this realm." OOC: I just put another wave down to make attack, but pretty sure I didn't pull back my first one so Kidoumaru shouldn't be on a tree unless he wants to die. Tartarax saw his fraccion reappear next him on the tree but ignored him and watched as the shinigami quickly defended against the cero. 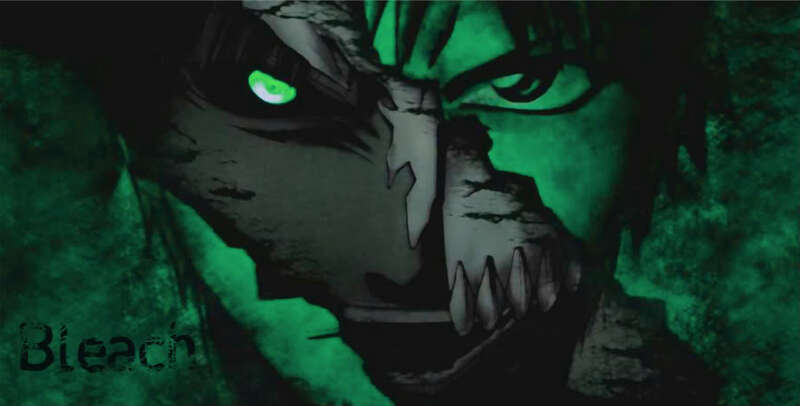 "you are right that im not one of the higher ranks, and you are close i am the sepita espada"tartarax said calmly not letting his anger towards the shinigamis retort show itself. "but the reason why i was made the 7th espada is my speed issue, but i am the only espada with the hardest hierro"tartarax muttered as he watched his horde of hollows ended by that small shinigami and saw it heading towards his fraccion. "kidoumaru, why dont you move before you die"tartarax said bluntly to his fraccion not letting his gaze off the shinigami. As kidoumaru heard his voice he reacted by spitting a web shield from his mouth blocking the dark wave. "well shinigami im bored from this, two captains are to much for me"tartarax muttered as he made the cero blade vanish and let his segunda mode vanish as he sheathed his sword and snapped his fingers opening a garganta open right next to him. "we will meet again you two, come kidoumaru"tartarax muttered as he waved bye to the two shinigami and watched kidoumaru jump down and walk casually to the portal. Tartarax followed after his fraccion snapp ing his fingers making the portal close behind him leaving the two in near the decimated hospital with souls dead and wandering around scarred and some having there chains enchroch.